The Literary Forest: Soul What?! Goodreads Giveaway! I've got some super exciting news to share with you. 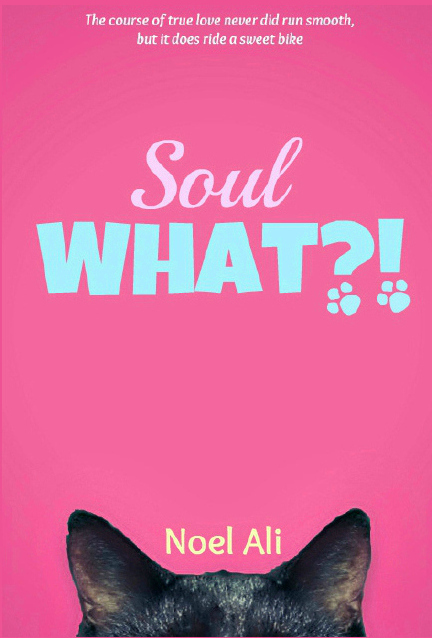 Since Soul What?! will be released this month I thought, "Why not do a giveaway?" Be sure to click the link below to win your very own copy of Soul What?! my debut novel. :) It hasn't been approved by the GoodReads staff yet, but keep checking back within the next day or so. The giveaway ends June 25 :) Good luck! Val’s officially a junior. It’s a new school year, and another chance to try and be invisible. Being in the spotlight with the popular crowd wasn’t as glamorous as she had once thought, and Val had to learn the hard way. But her plan for invisibility shatters when the school’s most feared bad boy Nathan Alexander steps into the picture. Any sane person would’ve been afraid of him, but having daily conversations with Lucian, a talking cat Val fatefully rescued, doesn’t help prove she hasn’t lost her marbles. Forced to tolerate each other’s presences during after school detention every day Val learns there’s more to Nathan and his motorcycle than meets the eye. In a sea of rumors and quick wildfire-spreading gossip it’s difficult to tell truth from fiction. Val begins to question if Nathan’s really the cold-hearted delinquent that the student body is convinced he is. Just when Val thinks everything is almost normal again Lucian lets her in on a little secret; he knows who her soul mate is. All Val wanted was to lay low, but she can’t help that her heart beats like a drum whenever she’s around Nathan.